Despite the best efforts of refuge staff and volunteers, it’s not always a happy tale for dogs such as Spunky waiting to be adopted at the Shenton Park Dogs’ Refuge Home. Spunky, who has hip dysplasia, is being fostered by East Victoria Park resident and refuge volunteer Sue Bownass until a permanent home can be found. ‘Spunky is an adorable dog who loves attention and has me in fits of laughter with all his playful antics,’ she said. 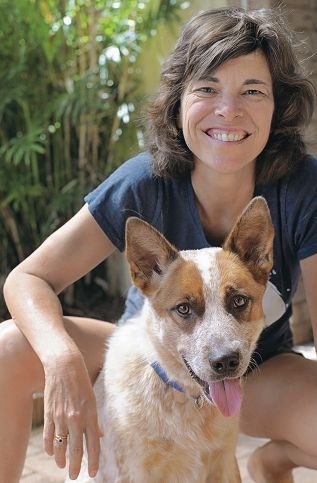 Refuge president Karen Rhodes says staff at the refuge rely on the home’s volunteer foster carer network to give dogs a break from the kennel environment while they wait patiently for a home. ‘The refuge can be stressful for dogs like Spunky, who is very active and understandably doesn’t enjoy being cooped up in a kennel for the majority of the day,’ she said. Spunky is one of more than 100 young dogs at the refuge looking for a new home. Call 9381 8166 or visit www.dogshome.org.au.